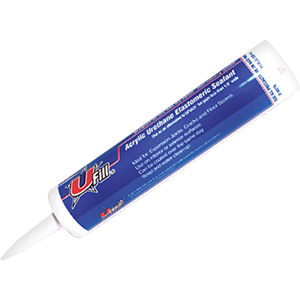 UFill is an easy to use, permanent industrial floor crack filling compound designed for use with the UCoat It floor coating system. 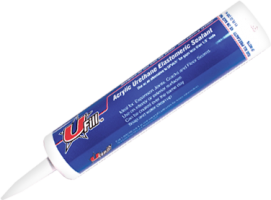 It is ideal for filling expansion joints, floor cracks, seams or other shallow repair less than 1/8″ wide (use UPatch for larger repairs). UFill may be used on interior or exterior floors and can be coated over the same day. Soap and water clean-up! Available in individual 11 oz. (325 mL) caulking tubes to fit any standard caulking gun, each tube covers up to 20 linear feet with a 1/8″ bead. Contains 12 individually labelled tubes. Provides approximately 20 lineal ft. at 1/8" bead. Tube fits standard caulking gun.